Noah Silverman: Hi my name is Noah Silverman. I’m a data scientist and a dot com entrepreneur. I see great potential in the future of Bitcoin and look forward to representing the community. NS: I’m very excited about the future of Bitcoin and all of the great things it brings. And I believe my skill set would contribute significantly to the growth and stability of the community. LTB: What makes you qualified for this position? NS: I started developing internet companies and working with technologies back in the mid 90s. So, I’m intimately familiar with the technical aspects. After that, I received a masters degree in statistics with a focus on data science, and I’m one paper short of a Ph.D. in the same subject. And I think the Foundation has people great with policy, but I don’t think we have anybody who’s a real data scientist who’s good with data. And data is a key component of the Bitcoin ecosystem. And the answer depends on the legal jurisdiction you’re in. It would be wrong to buy something illegal with it, it would be right to use it for anything else. NS: I love that Bitcoin software is developed as an open source project. It gives the entire community a very nice sense of security that there are no hidden surprises in there. And I hope that it continues to grow as an open source project. LTB: Do you have plans to work with the Bitcoin Community, if so how will you deal with the diversity of opinion contained therein? NS: Yes, I do plan to work with the Bitcoin community regardless of whether I wind up on the board or not. I have a blog that I started and I actually spoke at the Bitcoin 2013 conference. There will always be diversity of opinion about anything especially something as sensitive as a currency. And I think the important part is to help the community reach rational balanced decisions, that serve the majority of the users. But also take a realistic view of the legal and regulatory environment that we live in. NS: Lobbyists are, I think, a necessary evil. I do like the idea of having somebody represent us in Washington D.C. For the simple fact that US government regulatory policy tends to have a massive impact on the global financial markets. And, I think, having a voice for the Foundation to dispel myth and dispel fear and dispel uncertainty, and, sort of, make sure the truth is out there in front of legislators, I think is important. NS: I like the Foundation. I think it’s a good thing. In fact, my only real issue is that not enough people participate. 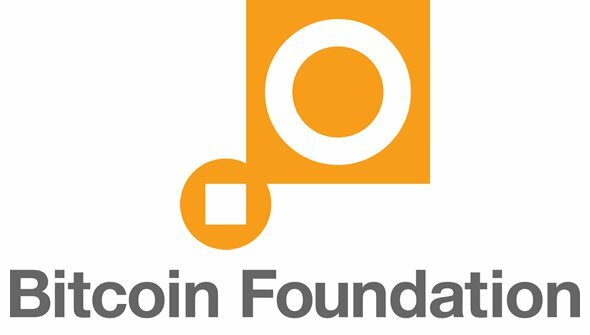 Really anybody with any interest in Bitcoin of any kind, should be involved in the Foundation. Should participate in the forums. Should at least spend the very small amount of money to be a member for a year. And I’m not [saying] that to sound self serving for the election, but I really believe the Foundation is one of the best paths to helping Bitcoin further establish legitimacy.